Walk or run 6K with friends around your block or with a group at a local site! 6 Kilometers is the average distance people in the developing world walk for water - water that is often contaminated with life-threatening diseases. On Saturday, May 4th, thousands of people from around the globe will walk or run 6K to bring life-changing clean water to communities in need. Each participant's $50 registration fee provides life-changing clean water for one person, so when you participate in the Global 6K you take that distance away from people in need. Watch Esther's story! 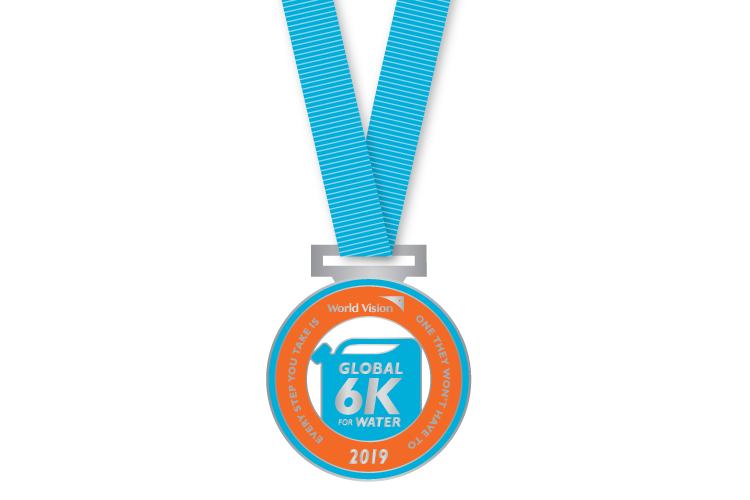 When you walk or run World Vision's Global 6K for Water, you provide life-changing clean water to one person in need through your registration fee ($50 - adults and $25 -18 and under) — how cool is that? 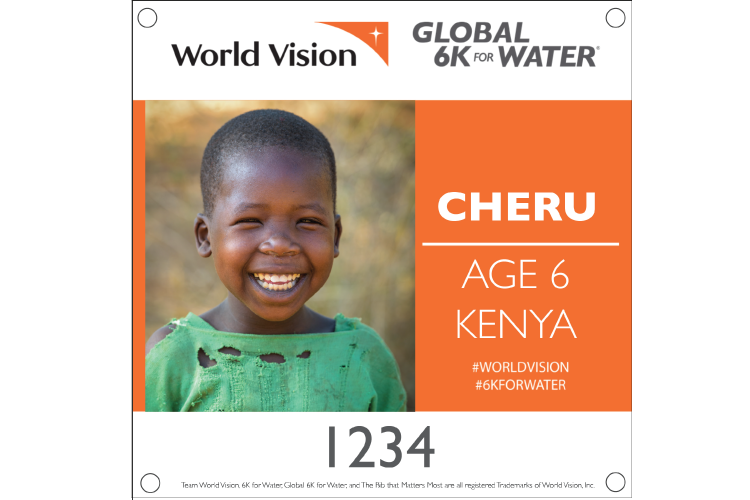 We’ll send you a race kit with everything you need to walk or run your 6K, including a unique race bib with the picture of a child receiving clean water from World Vision’s water projects! 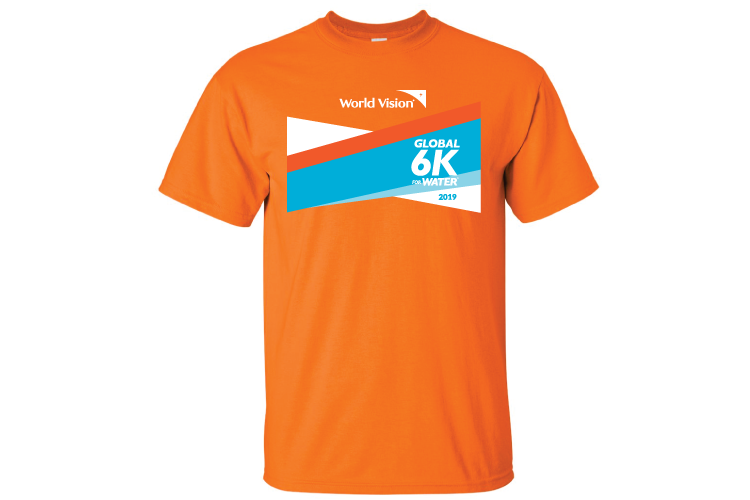 Team World Vision, 6K for Water, Global 6K for Water, The Bib that Matters Most and the design of the Bib are all registered trademarks of World Vision, Inc.